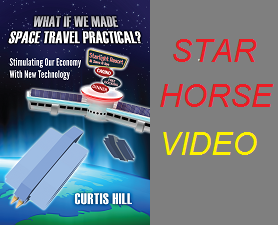 What If we made space travel practical? Not only does Virgin Galactic offer tourists a chance to travel in space, they offer researchers a way to conduct experiments and gather data there too. As mentioned in my previous post Private Commercial Space Programs a Reality, the general public remains largely unaware of these important plans and accomplishments. Scientists, engineers, educators, and others are invited to participate as part of Virgin Galactic’s core mission. There are two types of research flights available with plans to eventually put another ship to use. To learn more about this exciting development, read Conducting Research on SpaceShipTwo and WhiteKnightTwo on the Virgin Galacitc website. Satellite in orbit around the Earth, artist’s rendering.